Very excited to announce that 'Step Before Peace' has been sold! 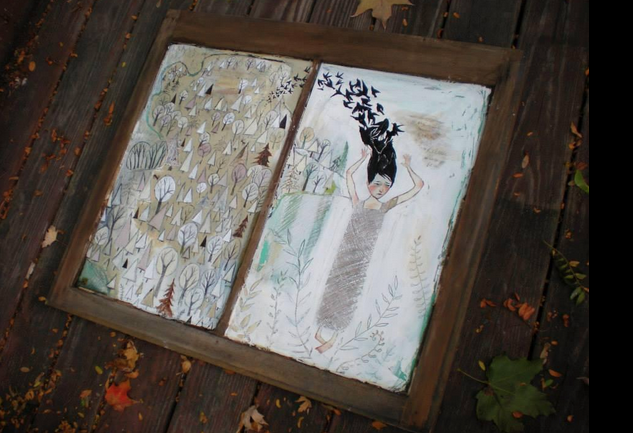 This one was not easy for me to let go of, ironically it's major theme is about 'letting go.' 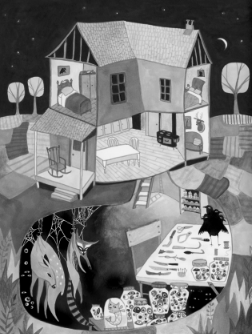 However, it is on it's way to a very good home and I could not be more delighted. To see more of my paintings, visit Lansing Art Gallery. Something new is in the works... But it is so new that I can only give you a small taste. My friend (who's really my sister's friend but I totally stole her to also be my friend because she's awesome) Doreen and her daughters came over to visit last night. This artistic family brought me some goodies from their latest creations. 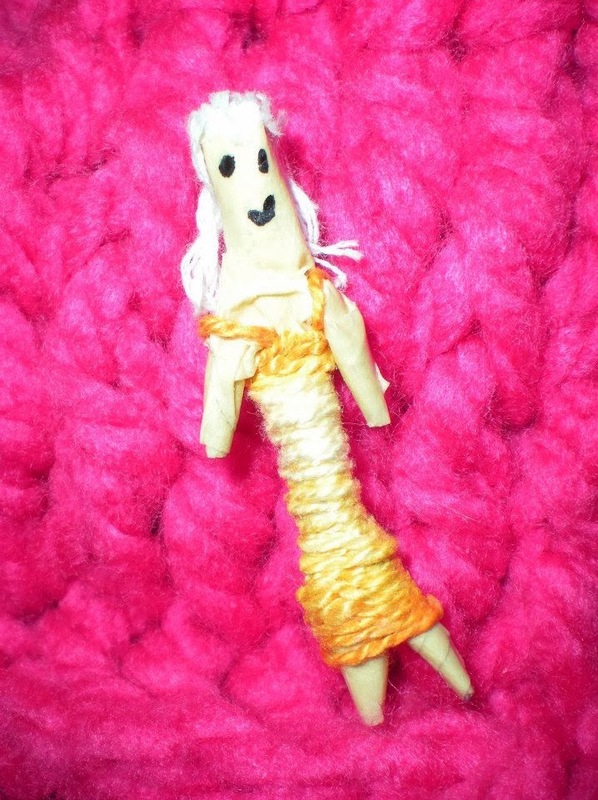 Her oldest daughter Josie made a 'worry doll' that celebrates Albinism (my daughter's genetic uniqueness). I traded a small tiger drawing for this beautiful little doll and happily added it to my collection of cool stuff. 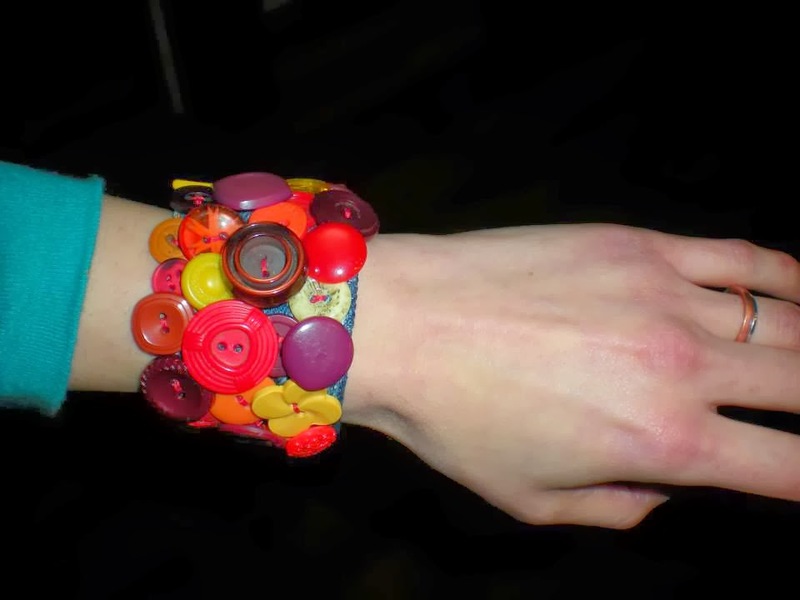 Doreen, a jewelry artist for Katalyst, hand-crafted this adorable cuff bracelet to fit my scrawny wrist. Not only was it great to catch up with this charismatic family, but I'm also enjoying my new pieces of handmade art! 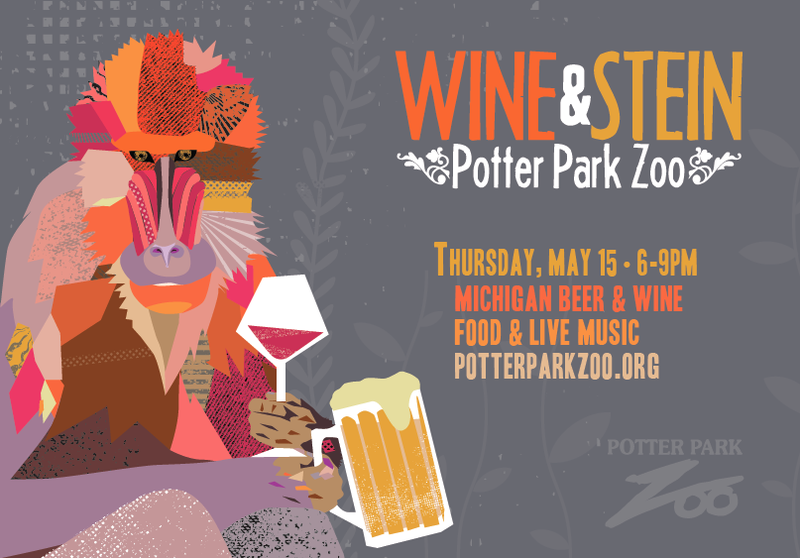 My design for this year's Wine & Stein at Potter Park Zoo is a celebration of the mighty Mandrill. They have the best crazy eyes in the whole zoo, so it was time that they received a little of the spot-light. For more information on this event visit PPZ's website.